Swamp Rose Mallow Seed Pod Sketch – Let's Paint Nature! 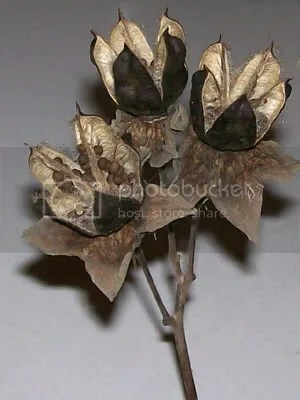 Just because something is a weed, doesn’t mean it can’t be beautiful and even though the height of its beauty has faded, the swamp rose mallow (swamp hibiscus) has something to offer in winter…its beautiful seed pods! So I must sketch this weed in the month of December, to see and learn how the next generation gets its beginning. Even though it is winter and your surroundings seem dormant, weeds are in action right now as you read this text. 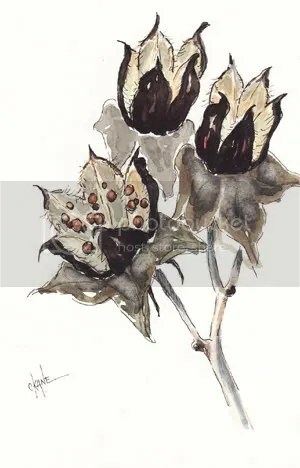 I hope you enjoyed this sketch of the swamp rose mallow seed pods in December. Cool little watercolor & what a beautiful plant! I’d love that in a dried arrangement somewhere. So pretty! Barb: Thanks! THat’s so funny, you never really know what your own style is unless someone points it out, sort of like when you think you don’t have an accent until you visit another part of the country.lol. Lana: Me too, I think it would be cool. I have it in a cup on my dresser 🙂 looks nice. Dave: Thank you Dave 🙂 Hope you’re keeping warm in our fridged weather. Jen: Thank you! They are a lot of fun to sketch. And yes! He is so good to us even when we are undeserving!